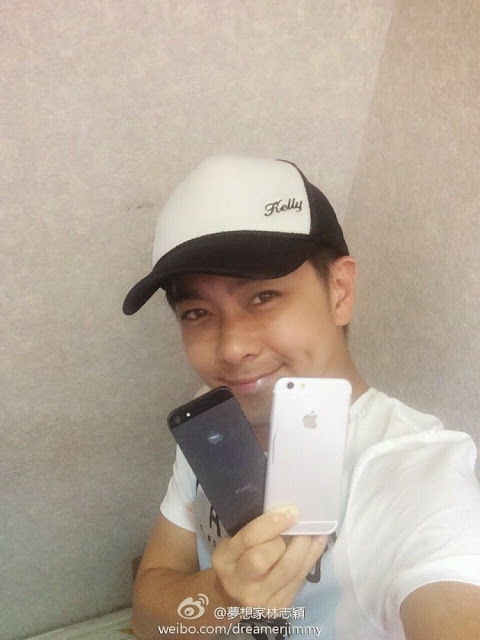 Keeping with that tradition, Taiwanese singer, actor and professional race car driver Jimmy Lin recently posted a picture of himself with what appears to be an iPhone 6 on his Weibo profile. Lin did a similar stunt last year, posting a picture on Weibo with the yet-unveiled iPhone 5C. Now this is interesting. 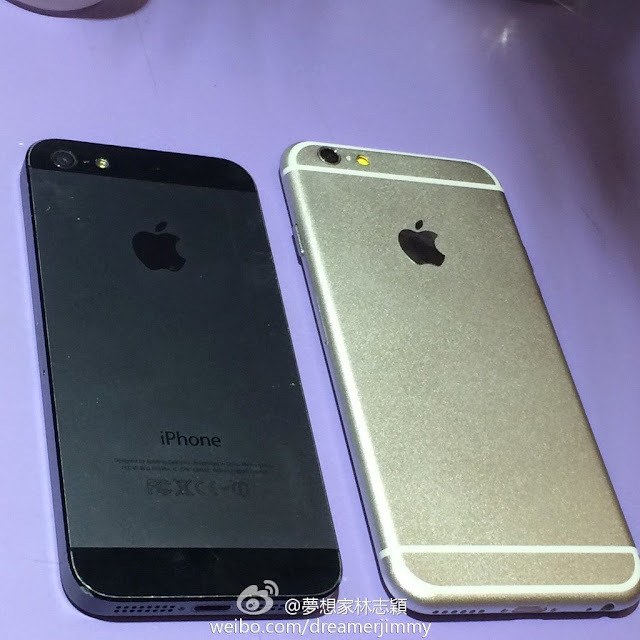 If this is a plastic dummy prototype of the iPhone 6 / iPhone Air, it is one of the best built I've seen yet. And when you see it compared to the iPhone 5 it doesn't look much bigger with a 4.7-inch display, so it probably have very thin bezels. Nice. But of course this could be a fake one too, a stunt made only for attention.